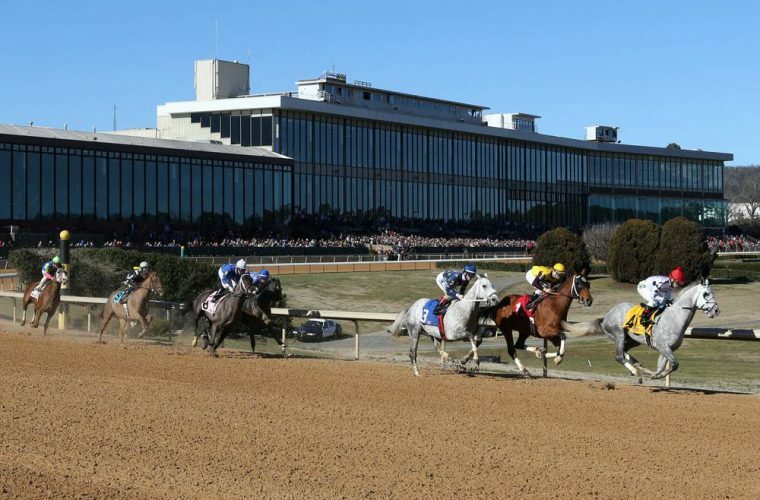 Leofric, the 5yo son of Candy Ride (ARG), returned to his favorite race place – Oaklawn Park – on Sunday, January 14th, and made it a memorable homecoming by returning to the winner’s circle… AGAIN. Purchased at the 2016 Keeneland November Sale by Liz Crow for BSW client Steve Landers, Leofric has now raced five times, winning four of those contests and placing in the Tenacious Stakes at Fair Grounds in December 2017. Leofric was the 5th to last horse through the ring in Book 4 of the 2016 Keeneland November Sale and it was Liz Crow who purchased the grey for $100,000 out of the Lane’s End Consignment. He has since earned $196,500. Leofric will tentatively point to the G3 Razorback at Oaklawn on February 19th.